Compare floor receptacles to find a replacement threaded floor outlet cap or cover for your brand if available. 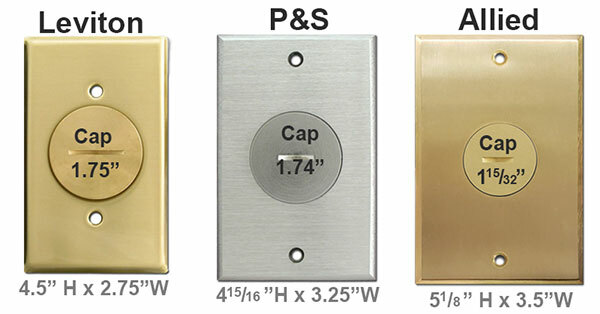 Floor outlet box covers can be easily lost and unfortunately they are not interchangeable. While some manufacturers do offer replacement caps and covers, most do not, so keep this in mind when deciding among the various brands. We do offer some tips for the most affordable floor outlet cap replacement options for those that do not sell parts separately. Note that each brand shown above - Leviton, Pass & Seymour (P&S) and Allied - has a different size floor box cover plate. Few plates are sold separately. 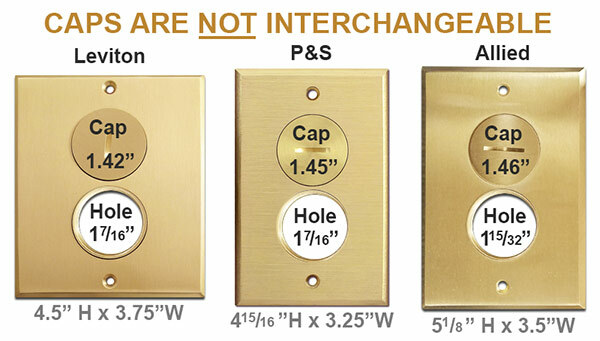 Allied brand replacement covers are available in brass, nickel and dark bronze (for Allied boxes only). To get a new Leviton or P&S plate, you must purchase a new floor box. If you need replacement caps, we carry Leviton brand caps for single plugs and for caps for duplex outlet boxes with 2 plugs. Replacement caps for floor box outlets are not interchangeable. Leviton and Pass & Seymour's caps are very close in size, but they do not screw in all the way to sit flush with the plate if you swap brands. Remove your cover plate to determine which brand your floor box is prior to ordering a replacement cap. 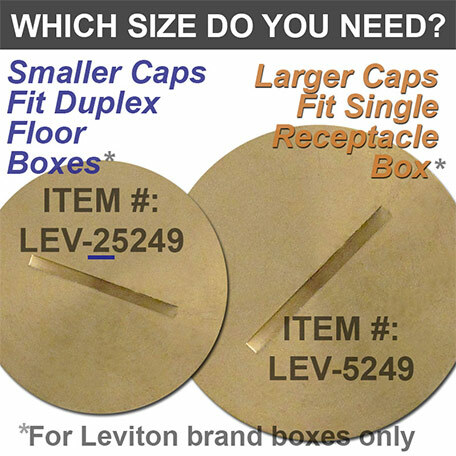 The replacement Leviton caps that we carry come in 2 sizes. Small Cap: If your Leviton floor outlet has a 2 sockets and a cover plate with 2 round openings, here is your replacement cap. 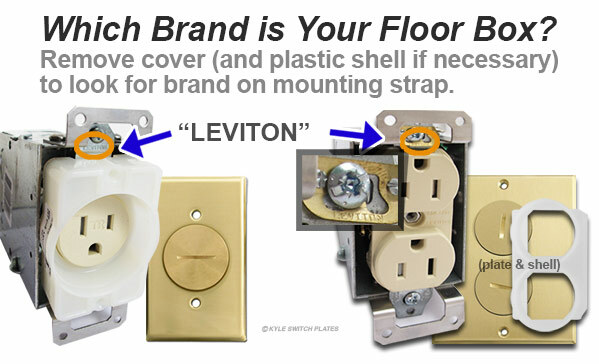 Large Cap: If your Leviton brand floor box has a single receptacle with a cover plate that has only 1 round opening, here is your replacement cap. 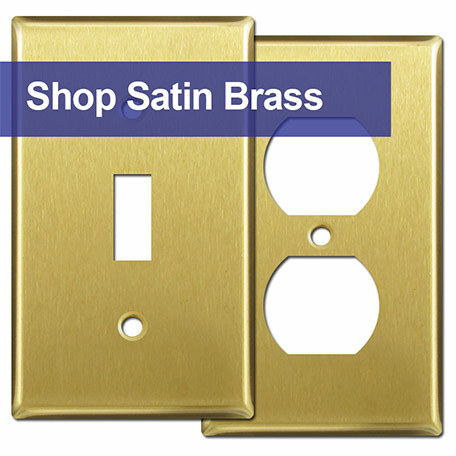 To coordinate your wall plates with your brass floor plates, shop satin brass faceplates. To complete a room with with nickel floor box covers, shop stainless steel wall plates.